Brighton Racecourse hosts Sunday Funday this weekend – a fun-filled, family-orientated day for the last meet of the summer. On top of the seven races on Sunday, there will be a range of fun, family-focused activities to enjoy. 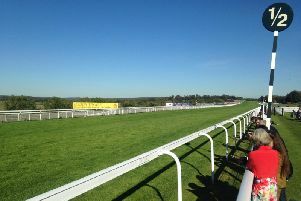 Executive director of Brighton Racecourse Paul Ellison believes that Sunday Funday is the “perfect” day out for families in the Sussex area. He said: “Our last racing meet of the summer, the Sunday Funday event is sure to be a great one. “It’s a little unusual to what you might expect at a race meet, but we like to be a little different from the mainstream. “We have plenty of activities for everyone to enjoy, we’ve had a lot of success over the summer season at our course, and I’m certain this event will be a fitting end to the summer holidays. As well as the races, there will be a range of entertainment on show including fairground rides, face painting, photo booths with fancy dress and a handful of competitions.